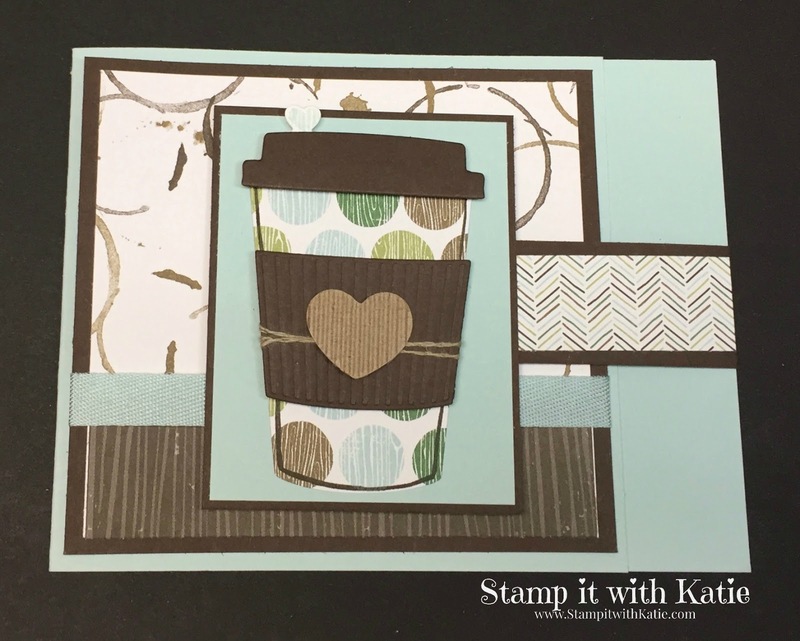 Stamp It with Katie: Coffee Fun Fold! I love fun folds! I shared this same fold a few weeks ago on a friendship card. This one is the same type of card, it's just square instead. 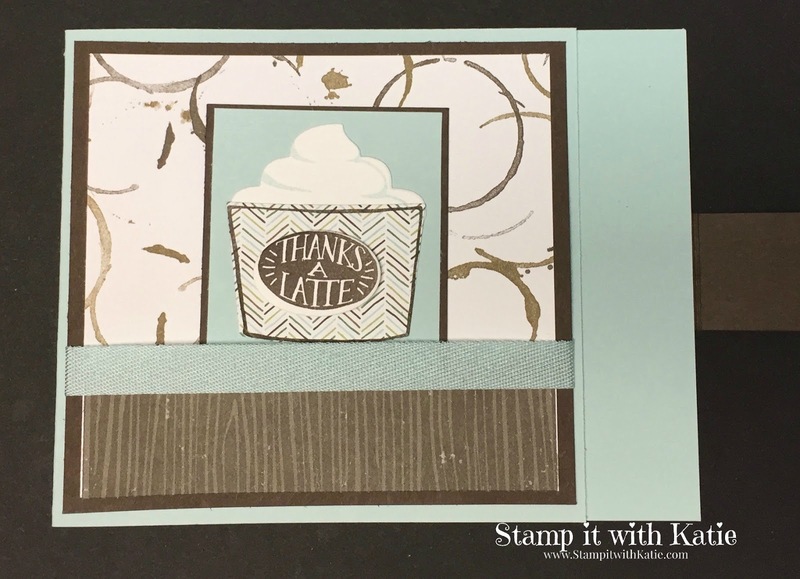 It's kind of a peek-a-boo card... when you open the top flap there's a cute little image underneath and still a card inside beyond that! 4 1/4" x 10", score at 5 1/2"
9 1/2" x 1" , score at 5 1/2"
Fold Soft Sky base & Early Espresso Strip. 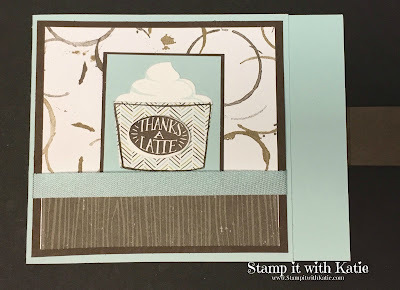 Attach the 5 1/2" scored portion of the strip to the back of the card base and fold around. 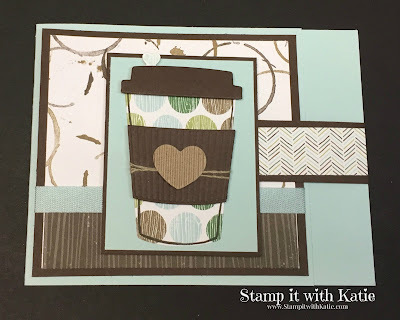 Attach smaller DSP strip to the Early Espresso strip folded into the front of the card on the right side. Attach the larger DSP to the larger Early Espresso piece, followed by the larger strip of DSP at the bottom.